Many people have doubts whether video game glasses work. And if they work, how can a gamer benefit from them? Before buying video game glasses, it is important to have an understanding of how they can help you when playing your favorite game. Game glasses can improve the level of your play by enhancing vision and clarity, reducing stress, and ensuring you do not strain your eyes when playing video games for long hours. It doesn’t matter if you are testing games or in an online game competition, you need video game glasses to perform your best. What are video game glasses? • Game glasses help to eliminate the blue-light glare. When playing a digital game, you might stare at your tablet, smartphone or TV for a long time. This can cause strain or damage your vision. But wearing gaming glasses can help. • Video game glasses help to enhance clarity, eliminate glare and help you see clearly when playing your favorite game. Game glasses can help you perform your gaming activities at a higher level. • Digital game glasses will ensure you keep up with fast-paced games and also provides a clear definition for all of your favorite games. Just the way we use sunglasses to reduce harmful UV-rays from affecting our eyes, video game glasses help to prevent the blue-light from PC monitors from hurting your eyes as well. If someone stares at the computer or TV for a long time, their eyes might become irritated and itchy. Do video game glasses work? With so many products on the market, most people would like to know whether gaming glasses actually work. Game glasses do work but it is important to have the right information before purchasing them. If you would like high-quality glasses, it is necessary for you to know where you can purchase them, how to purchase them, and the best gaming glasses for your size. For starters, these glasses are very helpful. If you feel your eyes are bothering you after playing your favorite game for several days, the best way to avoid serious eye problems is wearing gaming glasses. With game glasses, you can protect your vision and your eyes so you can play longer and better. Why is it important to invest in gaming glasses? Having video game glasses is very important if you plan on playing video games all day. They reduce eye strains, improve your vision during play, and also decreases eye problems in the future. For people who spend hours in the gaming room, it’s important to invest in gaming glasses. Below are some features you should expect in high-quality game glasses. * Anti-reflective coating – Since these glasses are specifically designed for gaming, they have an anti-reflective coating. The coating helps to reduce glare from light sources on and off the screen. But it is important to note that not all anti-reflective coatings are the same. It is therefore essential to learn more about the different coatings that can help benefit your eyes. * Color tints – some glasses have a tint that is designed to improve the contrast on your monitor. The tint also helps to filter out uncomfortable harsh light so that your eyes feel more relaxed. Are digital gaming glasses effective? Video game glasses are effective and are very beneficial. However, there are several factors that determine the type of glasses you need. They include work environment, computer usage, and your gaming habits. If you have not experienced any eye problems when gaming, game glasses might not help you. Game glasses are for players who have eye issues when they play games for a long time. If you experience eyestrain and you love games or play professionally, buying a pair of gaming glasses is a good idea. Some players eyes feel tired after gaming but accept it and continue living with the problem. Just because it looks normal it does not mean there is no solution. Visiting a local ophthalmologist for an eye exam might be the first thing to do. Apart from protecting you from the harmful light of your screen, some gaming glasses prevent dust and dirt from entering your eyes. 1. Your game time – if you normally play for several hours every day, or you intend to play daily, it may be essential to buy gaming glasses. Most eye problems occur as a result of long hours of playing games. 2. 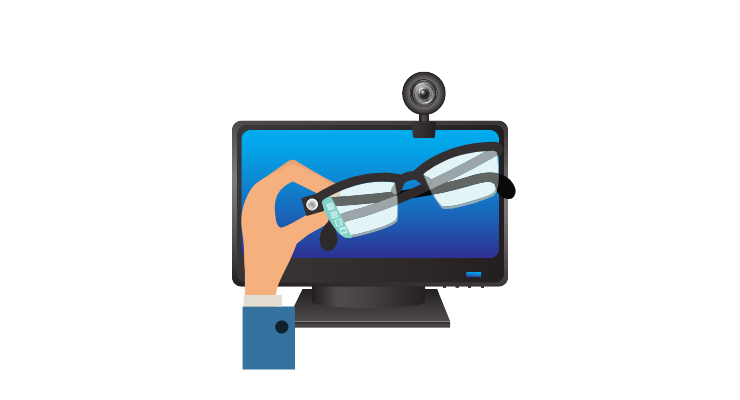 The distance of your monitor – another factor to consider when deciding whether to buy video game glasses or not is the closeness of the screen. If you are too close to the screen, and you play fast-paced games, gaming glasses can help prevent injuries. 3. The type of game – there are different types of games. Some can make you strain your eyes so bad that it can lead to serious eye problems in the future. In order to maintain a healthy vision, consider investing into a pair of gaming glasses. If you play digital games with fast-paced action and those that change colors rapidly, get some gaming glasses. For casual players that play for a few hours a day, you may not need them except if you already have vision problems. 4. A better visual experience – another reason why you may need to buy video game glasses is to enhance your gaming experience. The game glasses will help you see the graphics, colors, and the shapes crystal clear. Whether you love playing MMORPG (Mass Multiplayer Online Role Playing Games), sports games, action games or any type of game, investing in gaming glasses is very important. Game glasses ensure you are able to see the game’s graphics better, helps to reduce glare and brightness, and you can spend hours in front of your monitor without eye problems. If you would like some bold and stylish game glasses, you can choose some from several retail shops. But the most important aspect is to choose gaming glasses that will prevent you from damaging your eyes. You can also choose video game glasses for your children. Since many children love spending hours playing video games during their free time, it is important to consider protecting their eyes as well. Next Do Video Games Make you more Social? How do Video Game Emulators Work?